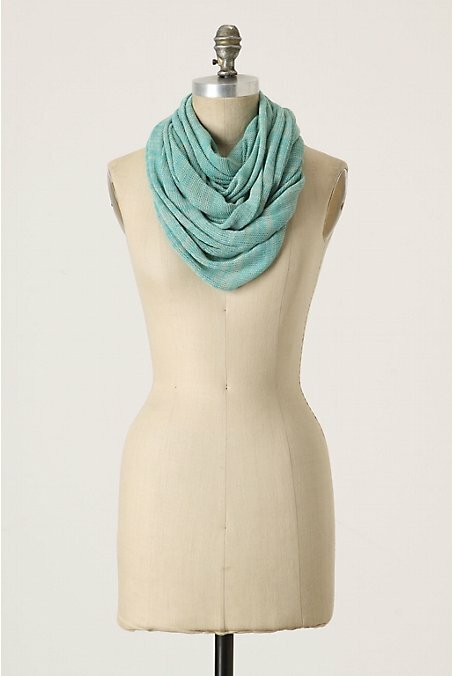 Last winter I noticed Anthropologie had some really lovely long, drapey cowls that could be wrapped close or left swinging down. I fell for them, liking the soft splash of color against the neck. But when I went to the store to look at them, each one had a nasty pick or a run in the fabric (seriously bad idea to keep them in a basket, however fetching they looked). 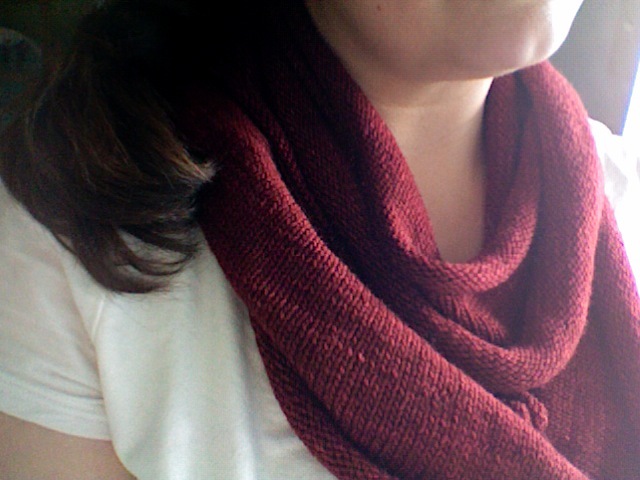 So I decided I would make my own out of a really gorgeous shade of Malabrigo sock yarn, Tiziano red. 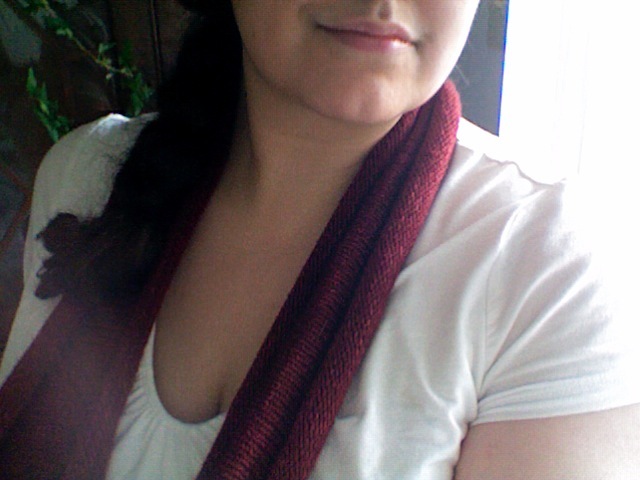 The pattern, such as it is, was bunging on a lot of stitches, knitting in the round until almost out of yarn, and then using a stretchy bind-off. Et voila! Anthropologie have some lovely ideas. It would be just wrong not to steal some of them. Nice!